It took the efforts of MiTC and a few other concern patriots to make the Dominican public aware of another diplomat that the Prime Minister Roosevelt Skerrit wanted under wraps. We did our investigative research and then introduced ambassador Jonathan Brown. We must also state that before we introduced Jonathan Brown we reached out to him – we ask about the nature of his diplomatic appointment. Mr. Brown was at the time uncomfortable however he indicated that he was in the process of setting up a Dominica Trade House in the Brickel location of Miami. Upon realizing that his and PM Skerrit’s private affairs was no longer a secret Jonathan Brown quickly prepared a press statement however that statement was never released by Jonathan Brown because MiTC released the details of it’s investigation and even the contents of his desperate press statement. 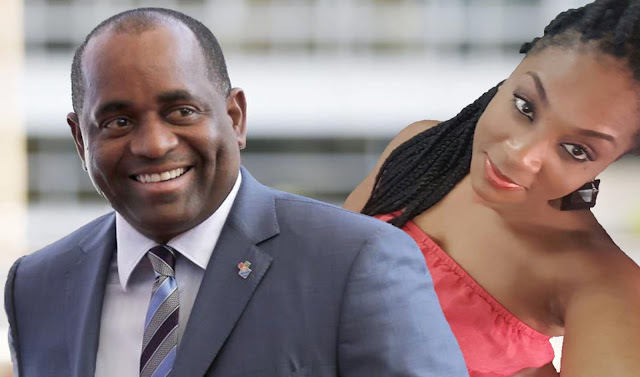 We are not sure if PM Skerrit has ever responded on the Jonathan Brown matter however we notice that since the MiTC revelation the Jonathan Brown /Skerrit relationship seem a bit more open. For example ,we saw Jonathan Brown actively involved in the hurricane Maria relief support out of Miami. We want to say thanks to Jonathan Brown for his efforts. The nature of Jonathan Brown’s diplomatic assignment still remains a hush hush matter. During our interaction with Jonathan he seem eager justify his diplomatic appointment. Jonathan stated that he was in the process of negotiating with Trader Joe’s on the behalf of Dominica. We knew he was lying then and now one year later Jonathan Brown is yet to show the results. Jonathan Brown recentl told the New Times of Miami that “PM Skerrit asked him to be Dominica’s honorary ambassador –at- large in trade and commerce and he has been facilitating business contracts for Dominica across the globe.” There is no doubt that the Skerrit era has created an illusive productive sector in Dominica. We must therefore ask PM Skerrit what are these purported trade and business contracts that Jonathan Brown is talking about? 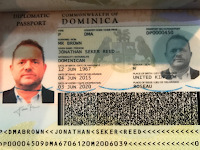 In our article “ Meet Ambassador Jonathan Brown” we ask whether Jonathan Brown was just another passport selling flunky. Emannuel Nanthan is providing the vital clues. 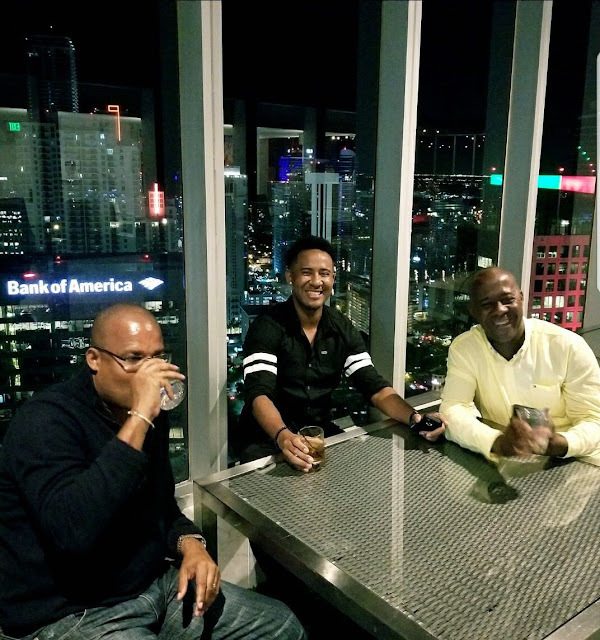 We have noticed that Emmanuel Nanthan, the director of Dominica’s passport selling program has been spending time at the opulent area of Miami , Brickell Avenue. Take note that this is the last known address that we have of Jonathan Brown. In the attached photo Emmanuel Nanthan and “Moochy” Offey both part of the Purple Turtle Gang can be seen living La Vida Loca in a penthouse on Brickell Ave. Is Emmanuel Nanthan on passport selling business and living it up in a penthouse in Miami while Dominicans are under severe suffering and poverty? Many in Portsmouth are wondering what is going to happen now that Ross university is gone. So many are looking for hope in a non existent economy while Nanthan is having 360 degree view of the wealth on South Beach. Enjoy that drink Mr Nanthan –the mirth of the corrupt is brief. As for Offey – keep mooching brother while the small business development unit continue to produce Offey like results. These apartments in this plush area of Miami are known as ideal money laundering instruments. Many of these high rise apartments and penthouses are often purchased through offshore money stolen by crooked politicians, the politically connected and also crime proceeds of drug dealers. We are not by any means suggesting that the Penthouse belong to Emmanuel Nanthan or any politician in Dominica. We have no such evidence.The optics of yet another affirmation of the type of life the kakistocrats live while abject poverty is evident in Dominica. Emmanuel Nanthan is essentially responsible for the only commercial product that Dominica has been trading for the past 15 years-passports. It is also alleged that it was through the same passport selling operation that almost $1.5 million was transferred to a Nanthan’s private account and when the bank ask about the suspicious money transfer it is alleged that Mr Nanthan admitted that the money came from passport transactions. If Nanthan’s appearance at this luxurious penthouse in Miami is related to or is on the invitation of Jonathan Brown it is only logical that we should again question whether Jonathan Brown has been involved in passport dealings. 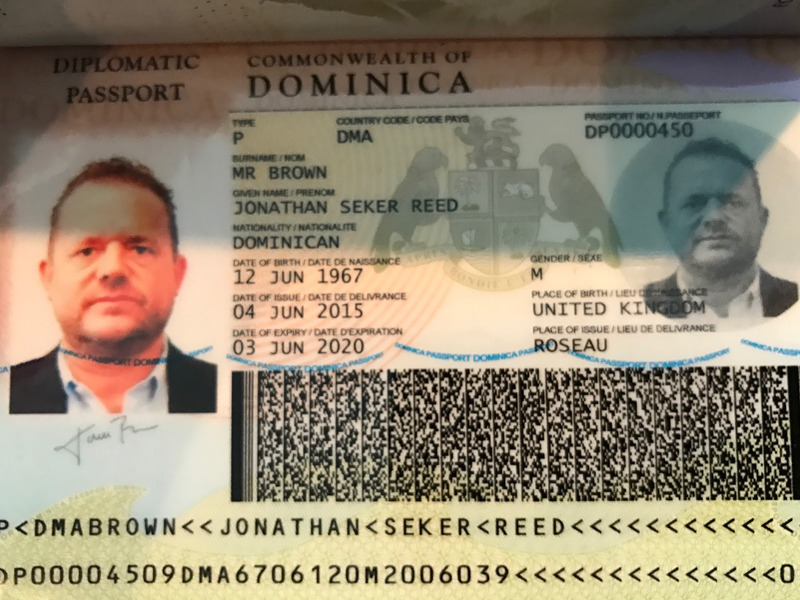 In keeping with the transparency that PM Skerrit promised ,we are asking whether those “international business contracts” that Jonathan Brown proclaimed is really about trading passports and not necessarily smoke fish or smoke Babawoolais from Dominica? The kakistocrats of the Skerrit regime have been in government for 17 years and have created nothing but an unsustainable economic environment. They have cleverly crafted the harrowing poverty that exist on the island yet the same kakisttocrats have repeatedly demonstrated their penchant for the high life. Who can forget those photos of those larvish parties under the My Dominica Trade House (MDTH) scam; the fancy Rolls Royce and the gold bars. Skerrit and Nanthan also promised trade and investment opportunities from the MDTH engagement. We all know what came out of that- the people holding Skerrit’s bag of poverty while Skerrit, Nanthan and others were involved in facilitating Monfared and his international criminal activities.